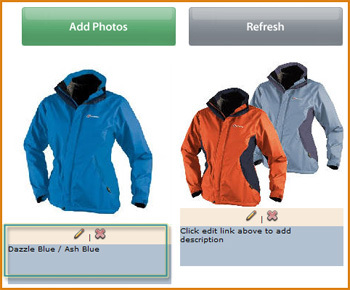 You can add descriptions / captions to each photo you’ve uploaded for a product. 1. 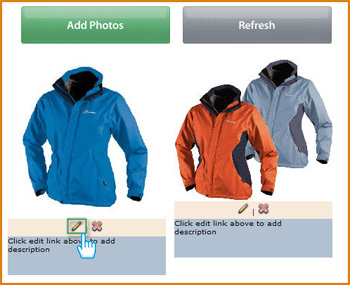 Navigate to the photo by clicking on Website (side navigation) > eShop Manager > View (underneath the Products headings) > Click on a product > Click the Photos tab. 2. On the Photos page, click the icon underneath the photo you would like to add a description to. 3. Type in a description in the box. 4. Click to save the description.